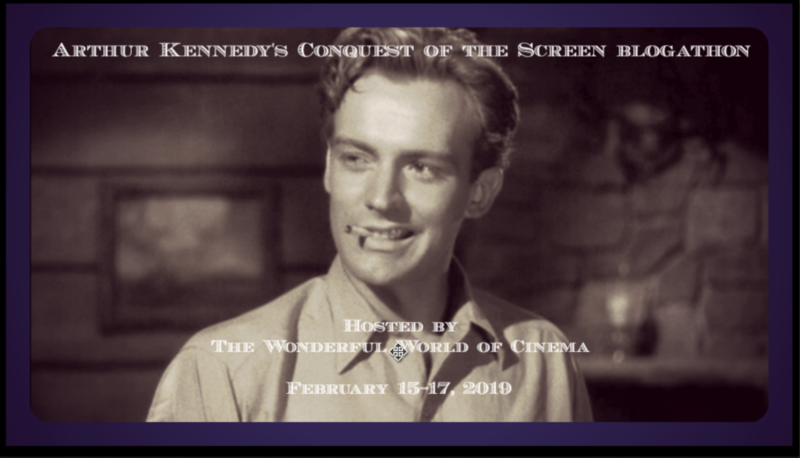 This is the second of two posts dedicated to The Arthur Kennedy’s Conquest of the Screen Blogathon which will be taking place over at Wonderful World of Cinema next month on the 15-17 February. Brief Synopsis – A trio of convicts take a family hostage as they are trying to evade the police. My Take on it – This film is another one that I knew absolutely nothing about before choosing it for this blogathon. The premise is quite interesting and it works quite well since it gives the viewer the feeling that they are situated right there in the midst of things as the situation gets more and more claustrophobic as things move along. The cast is amazing and what helps makes the story even more interesting and intriguing is the idea that we get to see some powerhouse actors working together which adds to the level of impact of the situation. 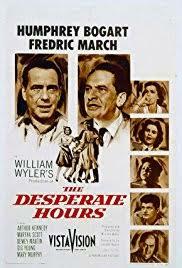 Watching Humphrey Bogart and Fredric March working against one another is great to watch and it works really well to see how things get more and more intense between them as the story progresses. Arthur Kennedy is the standout among the supporting cast as the policeman who tries to do his best to both capture the trio of criminals but also try to find a way to keep the hostages as safe as possible. The fact that the story feels timeless works well especially since it feels quite relevant even after 60 years. Bottom Line – Interesting premise that works quite well because it gives us the feeling that we are right there with these characters in the seemingly claustrophobic situation that they find themselves in. Amazing cast helps make this story even more intriguing because we get to see so many powerhouse actors working together. Bogart and March work against each other as things get more and more intense as the story moves along. Kennedy stands out as one of the best supporting characters in the film as a policeman trying to help stop the criminals but also get the family out safely. The story is quite timeless and works well and still feels relevant even after more than 60 years. Recommended! Based on a true story and a play prior to making it to the screen, my late father introduced me to this movie which was a favourite of his due to the actors involved, Kennedy as well as March and Bogart.